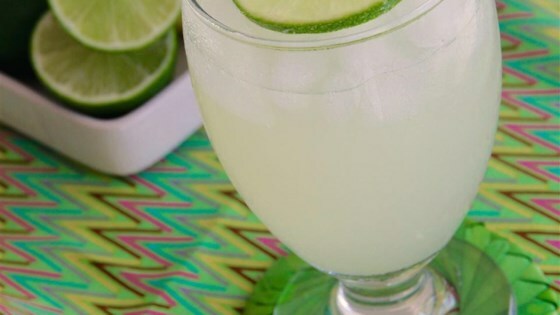 "A tasty lime drink. Not too sweet. Squeezing about nine limes should get you the right amount of juice." Stir lime juice, water, sugar, and salt together in pitcher until the sugar and salt are dissolved; refrigerate until cold, at least 15 minutes. I scaled this to one serving to test out. It was extremely sour. I can't recommend it without alterations.